I've seen chia seed pudding talked about a lot in the healthy eating communities but have never tried it myself. 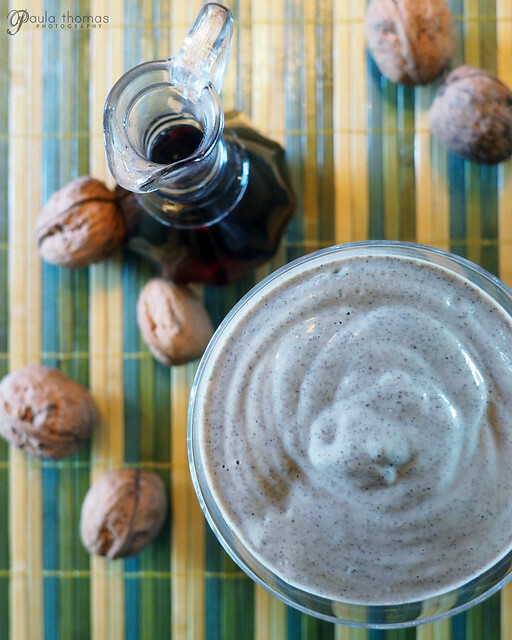 I do use chia seeds often in my morning smoothies and making a smoothie into a pudding is incredibly easy. 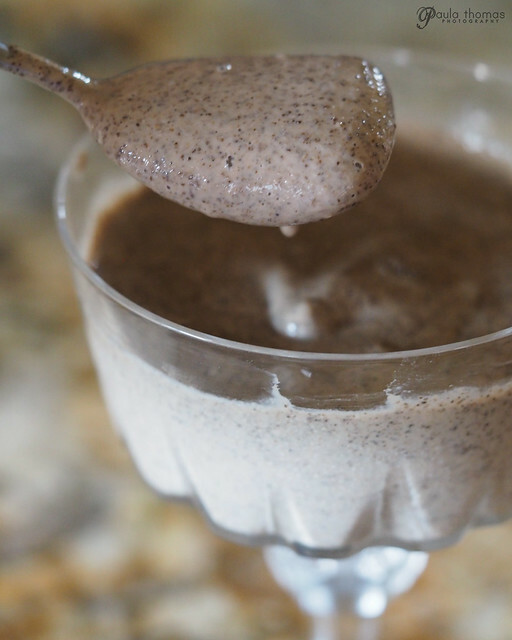 All you need to do is increase the amount of chia seeds and refrigerate for a few hours and you get pudding! 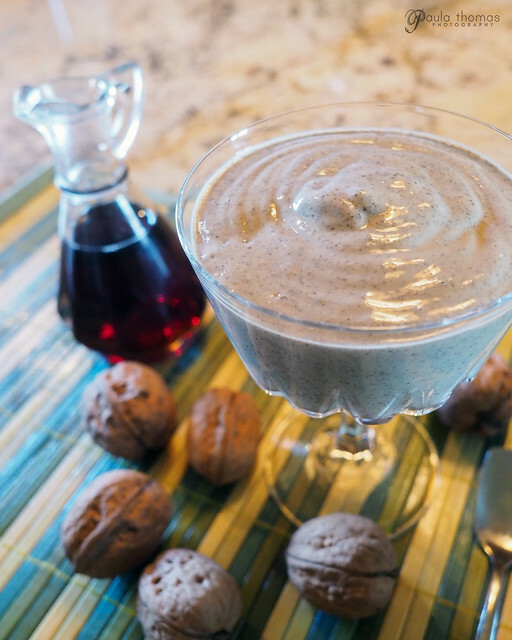 For my first attempt at a chia seed pudding, I used the Maple Walnut Smoothie recipe from the new BLEND Smoothie eBook, authored by my friend Alyssa Brantley of Every Day Maven and beautiful photography by Faith Gorsky of An Edible Mosaic. I found so many great recipes in this ebook that I want to try both as a smoothie and a pudding conversion. I love that it has a whole section on coffee smoothies as I frequently add cold brewed coffee to my smoothies in the morning for a little pick me up. Instead of instant coffee, I made an overnight refrigerator cold pressed coffee using a method I discovered on GardenFork. I used an espresso coffee blend from Third Coast Coffee, my new favorite coffee roaster (sorry Seattle). Used stevia drops instead of powder because it's what I had on hand (5 drops of liquid = 1 tsp powder). Added Vital Protein Collagen Powder just because it's good for you and am always looking for something to toss it in. I also increased some of the other ingredients to make more servings. I also wanted to thank Alyssa for sharing some of her props with me that she no longer wanted. The dessert bowls I used for this recipe came from her. Thank you Alyssa! 1. 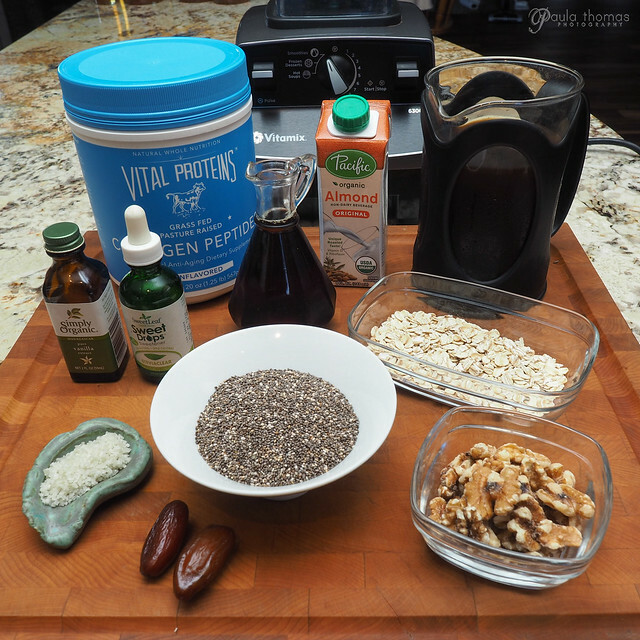 Add the walnuts and oats to a blender and pulse until they form a powder. 2. Add all remaining ingredients (except the ice) into a blender and process until smooth. 3. Add the ice and pulse until pulverized. 4. Transfer to serving glasses, cover with plastic wrap and refrigerate for at least 4 hours.